For this week’s Sunday Funnies, I have created a breakdown on different ingredients on a burger that I have eaten for the past few weeks. For Sunday Funnies 9, I broke down the steps of planting a flower. I’m definitely not the most artistic person so it didn’t turn out as I had hoped. Click here for the assignment prompt! 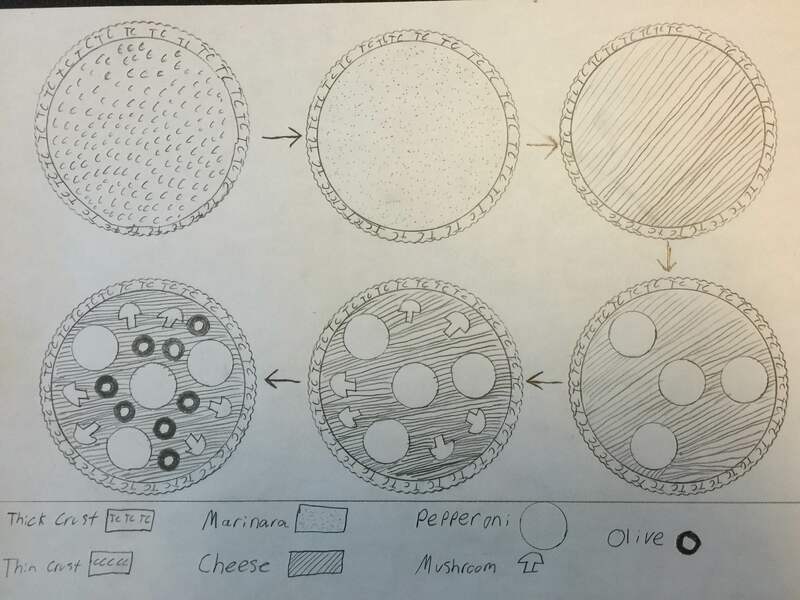 I did my 9th Sunday Funny on the creation of a pizza. On my pizza, I decided to put marinara sauce, pepperonis, mushrooms, olives, and cheese. The only problem I had in making the Sunday Funny was that I kept getting hungry!